Air in motion is known as wind. Wind plays a significant role in determining the weather system of a given region. Because of the rotation of the Earth, wind deflects to the right in the Northern Hemisphere and left in the Southern Hemisphere. 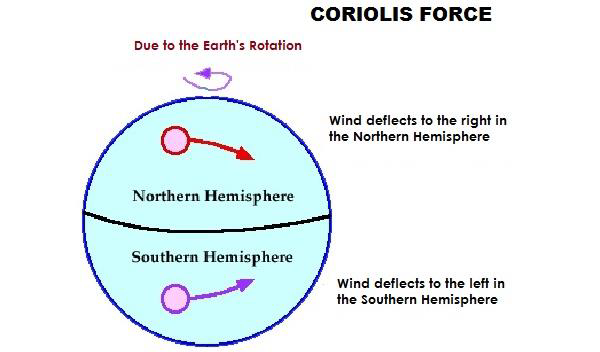 The phenomena first reported by Coriolis and hence it is known as Coriolis Force. Anemometer is used to measure the wind speed. Primary Winds: a wind from the direction that is predominant . 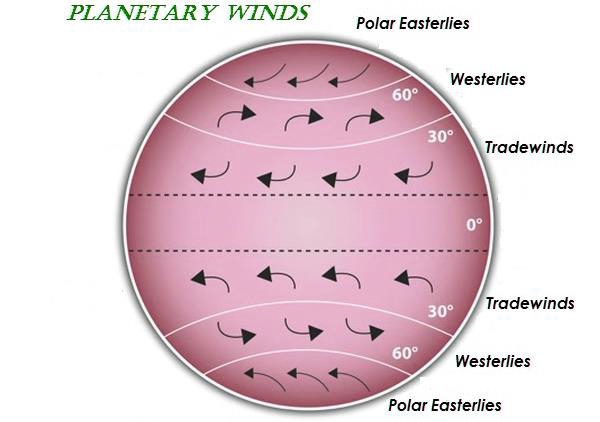 It is also known as Prevailing Winds and Planetary Winds. Secondary winds: Seasonal winds are movements of air repetitively and predictably driven by changes in large-scale weather patterns. It is also known as Periodic Winds and Seasonal Winds. Local Winds: It is originated because of the local temperature and/or pressure difference. Seasonal or Periodic Winds blow periodically i.e. for a specific period. For example, Monsoons (as shown in the following image).